When Nikon made their announcement just prior to Photokina in September of this year (2014) that they were launching the D750, my interest piqued, especially as the specs on paper were ticking all my requirement boxes. The price looked good too! 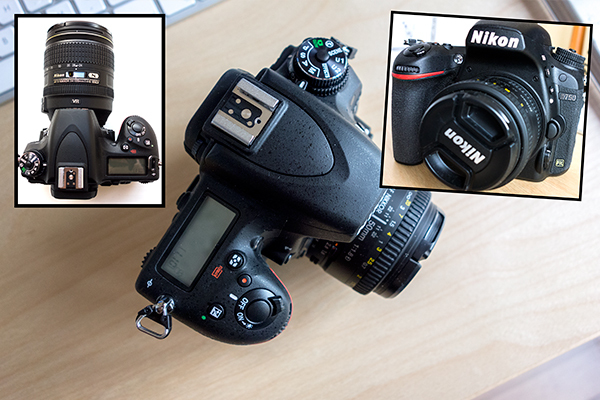 I have had the Nikon D750 a little over two months now, but have yet to put this camera through any serious testing. Over the following months, I will give this camera a thorough workout. In the meantime, this article will outline my first impressions and why I chose this particular camera. Before I finally went ahead and purchased the Nikon D750, I did seriously consider taking the mirrorless route. Sony and Fuji have some excellent ones on the market. At this moment in time, I do feel the choice of lenses available are still limited. That said, because these MILC (mirroless interchangeable lens cameras) are much lighter than DSLRs, this is a serious factor to consider, especially if travel and landscape photography is your speciality. I was looking to upgrade from my APS-C sensor camera to a full frame one. I’m not bothered about the brand – it’s what the camera can do for me. I wanted more dynamic range, so a larger sensor and megapixels was a prerequisite. Trade-in my older gear to lessen the financial blow, plus it didn’t make sense for me to hang onto to older gear with the current speed of technology. 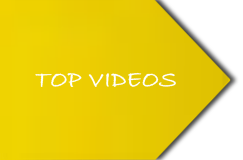 Video – I want to get more adept at shooting HD video footage. A camera is an important tool in the photography profession and whatever camera suits your needs and gets the job done is the one for you. I wanted to upgrade to a full-frame camera and use full frame lenses. 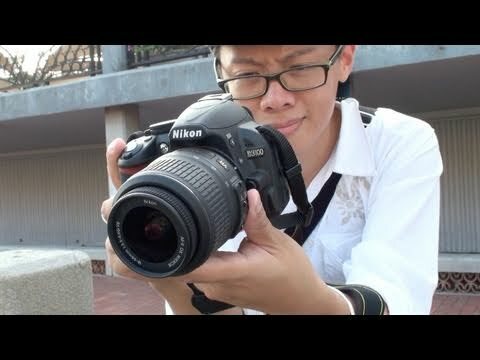 My Nikon D300 which has an APS-C sensor had served me well and it was seven years old. I don’t believe in holding on to digital equipment for too long, because it depreciates so quickly. I traded-in this camera with the 18-200mm lens which did make a difference to the final bill. 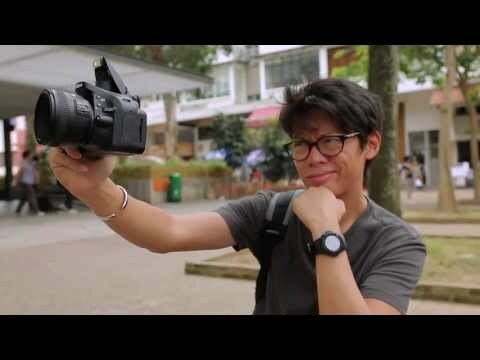 When I held the D750 for the first time, the ergonomics felt great. The extra dimension to the grip makes all the difference and it fits very comfortably in my hand. I don’t have large, nor petite hands. The body feels lighter than my previous body and more slimline but still has that solid feel of a DSLR. 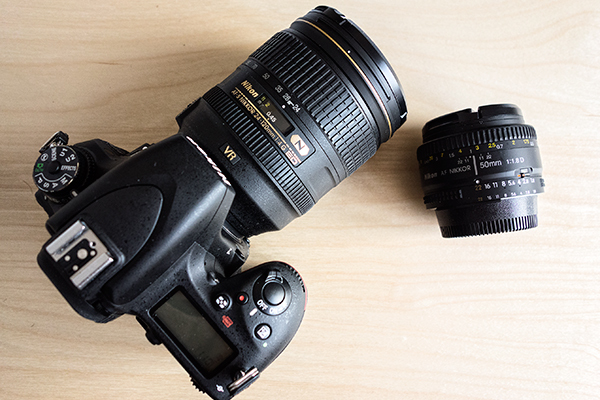 I got the Nikkor 24-120mm f/4 lens with the camera in a bundle deal. In doing so, I got the lens for nearly half of the purchase price. This particular lens isn’t light though, it weighs nearly the same as the camera body, which is about 755g(1.7lb) including the battery. The camera plus this lens was now more hefty to hold. On the day that I took the camera out for its initial test run it was a fantastic sunny day. I had the 50mm f1.18D lens attached. It felt so light, mind you this lens weighs practically nothing in comparison to other lenses. Immediately, the camera felt very intuitive as I wasn’t fumbling around getting to grips with dials and menu systems. I am biased here given that I am more familiar with Nikon cameras so I had an advantage. I have to admit that I am a bit of a pixel peeper. This camera has a high resolution 24.3 megapixel sensor, which is reflected in the quality of the images. I was impressed with the detail and color of the images. 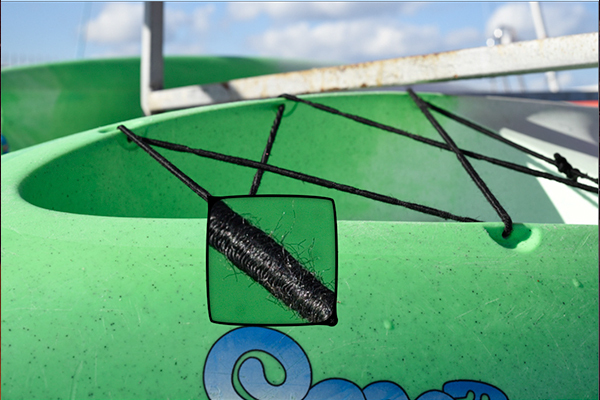 Zoomed in at 100% to show the detail on the elastic cord on this dinghy. The speed of the Autofocus was just amazing. It was very responsive and super fast.